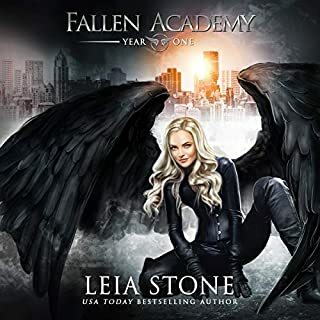 Book One of the Finishing School series. I was surprised by how much I liked this book. The description caught my attention and I felt like I should give it a go. 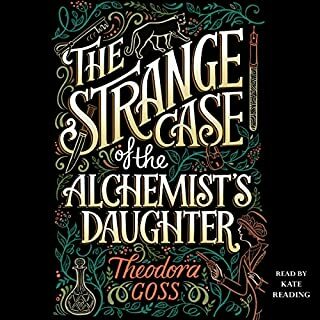 This was my first foray into steampunk and I'm not usually big on Victorian era books, but I was just so enchanted by the idea of Madame Geraldine's that I had to get over my trepidation and prejudices and just listen. Glad I did. The characters are great, I look forward to see how they progress and grow. I was a little weirded out because the story built and built and then summed up in the last 10 minutes- for a minute I thought that I missed a download or something because it really did only take the last 10 minutes to end which seemed a little rushed but it was still pretty satisfying. It's a toss up for me now- do I want to go to Hogwarts or Madame Geraldine's? A light romp through Gail Carriger's Steampunk World, circa 1858, chronologically before her Parasol Protectorate series was delightful, suitable for younger readers and adults alike. Who ever thought of a finishing school for young ladies on a dirigible? Simple plot, but a world of fun. I will start this review off by saying I absolutely adore Gail Carriger’s Parasol Protectorate series especially on audio narrated by Emily Gray and I do admit to missing her voice on this book, I am not saying Moira Quirk did a bad job she was actually very good but there were times when I really wanted it to be Emily the biggest difference was timing Emily’s comedic timing is better than Moira’s and she pronounced Genevieve different too, and when it is a character from the other series it was glaring and bothersome to me because of my love for Carriger’s other series and Emily Gray’s narration of said series. I am NOT saying Moira Quirk was bad please don’t think that, she was very good I just could not help the comparison the Emily Gray. Moira was a new to me narrator and her accents and characterizations were very well done and I would definitely listen to more by her. 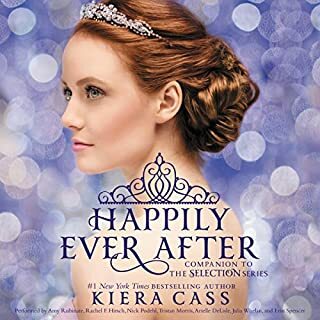 Now onto the book, this was fun and cute maybe not as much fun as the Parasol Protectorate series but it is the first book and I expect these to get better and better just as Gail Carriger’s other series did. Sophronia was a good character , and it was fun seeing Madame Lefoux as a girl and we also have a Maccon it is the Lord’s great-great-great granddaughter Sidheag ( not the Lord himself unfortunately) but we do get Professor Lyall (Pre-Biffy unfortunately) also I am hopeful there will be more of him in future books . I did enjoy meeting the new characters and I absolutely loved the mechanimal Bumbersnoot and want one for myself! I look forward to seeing more of Sophronia she seems like a character that will have trouble following her wherever she goes and that is the fun of it all. Dimity is quite a character too. Also the finishing school itself is not what it seems it is not where young ladies go to become good wives it is a …well read it and see what kind of school it is! **No Spoilers** We again have this wonderful Victorian Steampunk World that Carriger introduced us to in the Parasol Protectorate, we again have all the wonderful steampunk machines we have come to enjoy from past books. I also adore the names she comes up with, how she does it is beyond me! I think this will be a great introduction to the world of Gail Carriger for young adults who will then go on to read more of Carriger’s books; I think they will become lifetime fans as I have. 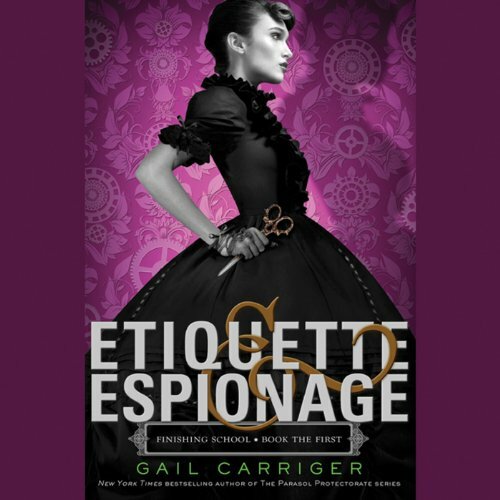 This book is fun stuff if you are a fan of the Parasol Protectorate don’t let the Young Adult classification scare you off it is still the humor and fun that Gail Carriger is known for. 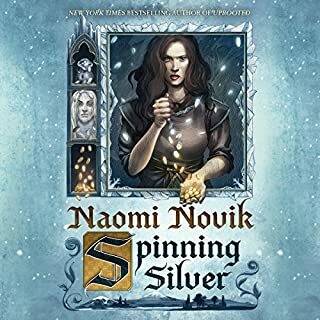 I am so glad we only have to wait until November for the second book in this series! This book is a fun & frolicking steam-punk adventure. It is filled with wonderful characters that I can't wait to get to know better. There is even a touch of the Parasol Protectorate world thrown in to make you feel like you already belong. Like most (probably) I got this because I enjoy Carriger's Parasol Protectorate books. If you liked those books, you'll probably like this. It's an adorable kind of book. If you haven't read her adult books, I don't know what you'll think of this book. There is a lot about the England this book takes place in that isn't really explained (aka not explained at all), like any background whatsoever with regards to the supernatural. I couldn't give the plot more stars for two reasons. Firstly, the book really doesn't have much of a plot. Things just sort of happen as it becomes necessary for characters to do things rather than just exist. It's definitely more about meeting beloved characters that we know well as adults and setting the scene for future books than it is about the 'mystery' or whatever you'd like to label the plot here. Now, if you don't think too hard about anything and just happily go with the flow, then this lack of plot won't bother you. Just have low expectations. My second issue is with the intended audience. I imagine most readers will be (as mentioned) adults who liked her other books. But it's definitely intended for a young adult audience....or so it sort of seems. Now, Sephronia is young for most young adult heroines, and there isn't any romance whatsoever (which is just fine, the girl is 14!). That's all fine and well, but given what else is out there for teen readers, this book will probably come across as rather tame. Younger teens might like it, but vocabulary might be a concern for tweens. Etiquette & Espionage was a lot of fun to read. Apparently this is a spin-off from Gail Carrieger’s popular adult series, The Parasol Protectorate. Etiquette & Espionage is definitely young adult. In the beginning of the story there is a really funny scene that had me realize these books are intended to be a fun and funny story. I mean, really, the girls are learning etiquette and espionage on a floating school and it takes a really fast, high jumping werewolf that wears a hat (even when he shifts) to herd them all onto the platform to get them to enter the school? That should tell you! The characters are all really different. The main character, Sophronia, always seems really concerned about learning how to truly act properly, but she’s so distracted elsewhere that it almost seems like it’s too much of an inconvenience for her to actually learn how to be a lady…even though it’s not like she didn’t really want to learn. This isn’t the case for all of the characters. There’s another girl who I would really like to be consider as the “mean girl;” a girl who really only wants to be a lady and go to a proper etiquette school. And then there’s a girl who seems like she has no intention of being a lady at all. My favorite is Sophronia’s little clockwork dog. So cute! Oh…and the boy that is introduced is cute too. There is this whole detective thing going on throughout the story, and it all unfolds in the end in a very fun way. I’m really looking forward to reading more from this series. 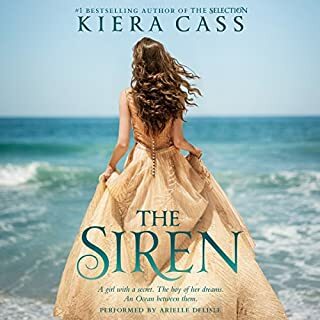 I may have to preface this review by saying that I have so many fond feelings for this book that they threaten to spill over into noises only dogs can hear. Possibly dolphins. It's always a joy to find a book full of lively and interesting characters with improbably ridiculous names and go off to find adventure while learning to be proper ladies. Have you seen many books with that premise? I have not, but I'm glad this one exists. The book itself is entertaining, highly engaging and often extremely hilarious. I found myself laughing out loud at the beautiful absurdity of the premise and many of the equally hilarious situations the characters found themselves powering through. 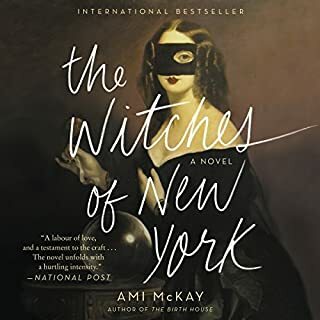 I think it's pretty safe to say that I fell in love with nearly every character in this book, each of them wonderful and unique people, lovingly rendered, but what impressed me most about this book was the overwhelmingly positive female characterization. Here are girls who are strong in very different ways, who accept that they are different and that they are all, in their own ways, important. It's refreshing to find in any novel but especially in a YA novel because we, as girls, all struggle with issues of identity and self worth, with finding a place for ourselves while we figure out who we are, just as the girls in this book do. Last, but not least, the narration is amazing if maybe a little more slowly paced than I'd like. I'm eagerly awaiting the next book in the series. I hope it's as lovingly absurd and engaging as this one has been. Where does Etiquette & Espionage rank among all the audiobooks you’ve listened to so far? I do not think I can rank it in terms of other books because it stands so far apart with its unique humor and setting. What was one of the most memorable moments of Etiquette & Espionage? The scene where the Finishing School is first viewed is likely the most memorable simply because of the wonderful description. I love the Maccon's so I have to say Lady Maccon (not Alexia mind you) was my favorite. Yes. I listened to it for one entire day all at once. Gail Carriger and Moira Quirk are a match made in Steampunk heaven. I cannot describe adequately in word how much I love all of these books. I long for the next in the series. I thought I would really like this. It started out well: a great premise, witty and feisty female protagonists, and the author has all her vampires and werewolves in a row! Then, not much. The promising characters just never came to life for me. The tone became increasingly more arch than witty, the situations contrived. No heart.